Sheldon Stewart started painting houses in high school and worked his way through college as he built his business. In 1984 Stewart Painting was officially launched. 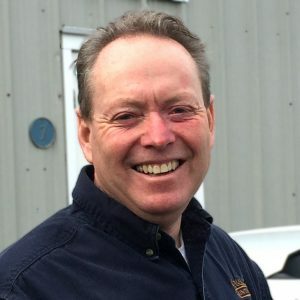 Sheldon’s heritage as a “Cape Codder” dates back more than two generations and has been a strong influence in the way he approaches his business. Recognizing that building an impeccable reputation requires a team of people that are like minded and strive to provide quality service. Sheldon credits his success by surrounding himself with family members and key people to operate his thriving business. Sali Stewart handles customer relations, his daughter Shelby works during school breaks and his nephew Todd Piknick has more than 20 years with the company and is the Field Supervisor. Giving back to the community is very important to Sheldon. Stewart Painting donates to more than 50 charities. As a member of the steering committee for the Pops by the Sea, Sheldon and his employees donate their time to setting up for the event each year. They also maintain the appearance of the Cotuit Center of the Arts. Please visit our Community Support page for a more detailed list of local causes we support.